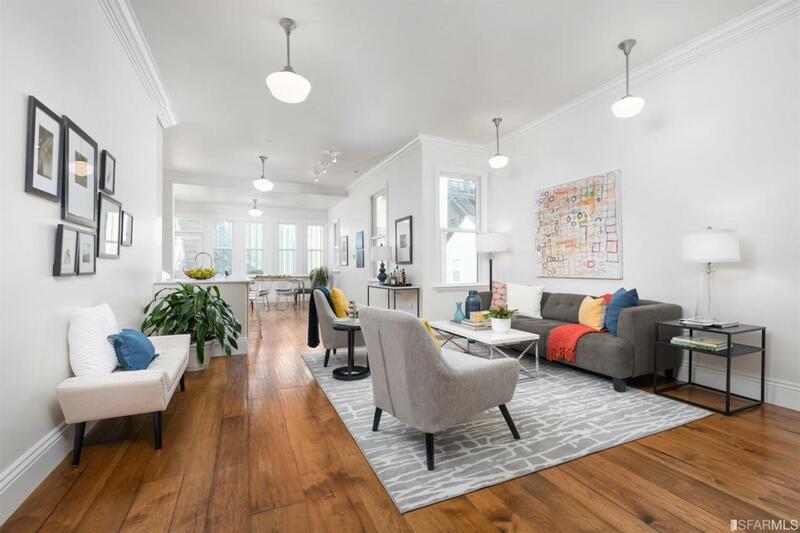 Experience El Corazon de la Mission in this beautiful, architecturally distinct 3BD, 2BA modern residence with high ceilings, warm light, hardwood floors and modern updates. Neighbors include Flour + Water, Bon Nene, Atlas Cafe and Mission Cliffs. Entertain friends and family in a great room perfectly arranged for dinner parties or cocktails. Cook in the chef-grade kitchen that opens to the living room. Sip drinks & mingle around marble-topped Peninsula while whipping up something delicious. Special details include 8' tall doors, extra wide moldings & radiant heated floors. The adjacent dining space is framed in tall windows. 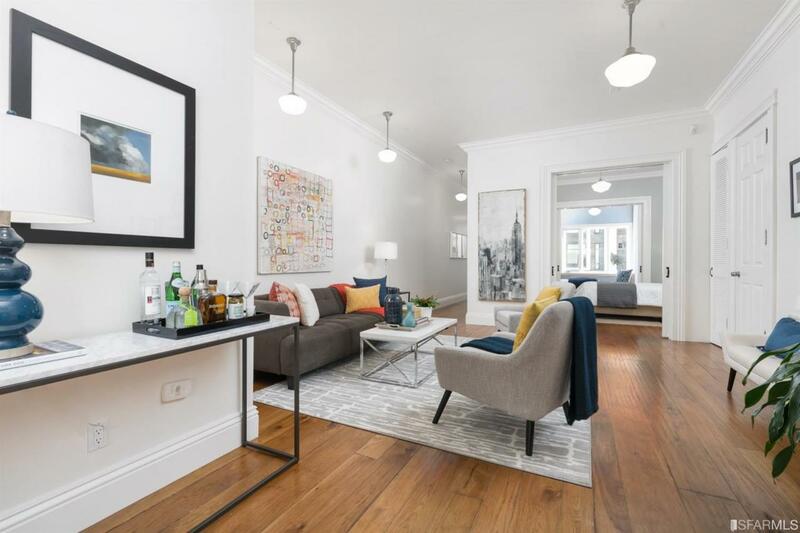 Two bedrooms w/ hardwood floors & huge organized closets. Downstairs room w/en-suite bath. In-unit laundry and garage parking. In middle of block surrounded by artists & craftsmen, hip eateries like Atlas Cafe, and popular gyms like Mission Cliffs. Close to Valencia and Mission streets. Easy commute options include BART, 101, MUNI. 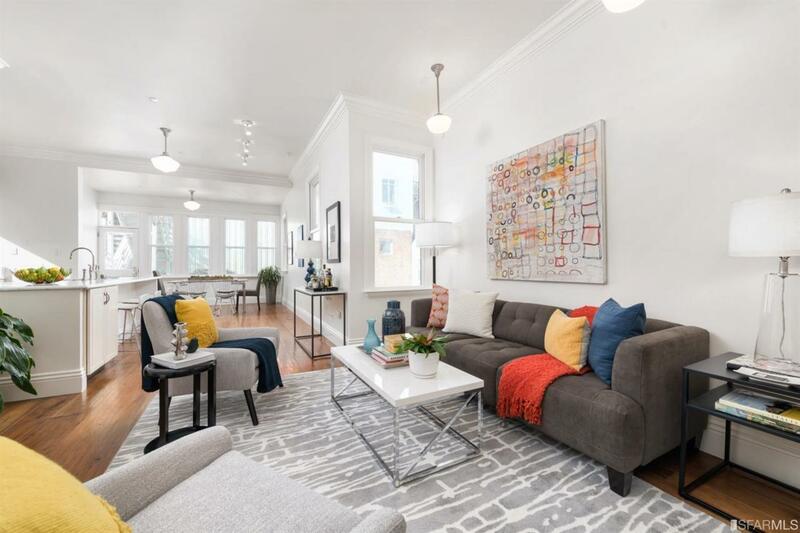 Listing provided courtesy of Michael Minson of Keller Williams San Francisco.